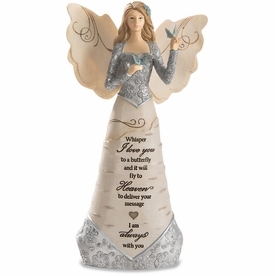 With a touching sentiment etched within the bench top, the personalized If Tears Could Build A Stairway memorial bench is a beautiful remembrance of a loved one. 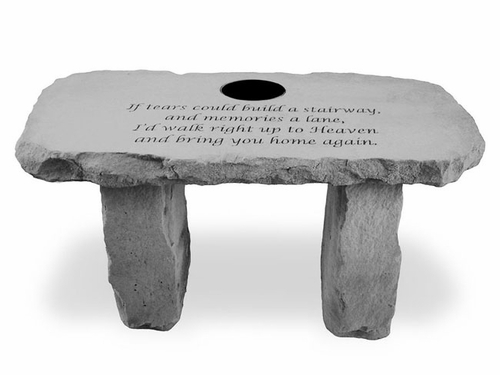 Our decorative garden memorial bench is made of cast stone concrete is durable for all seasons. 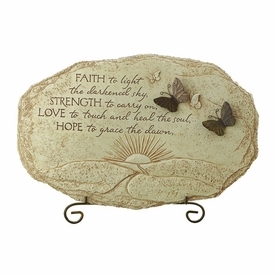 Made in the USA, the garden bench is a beautiful accent to a memorial garden or special area of remembrance. 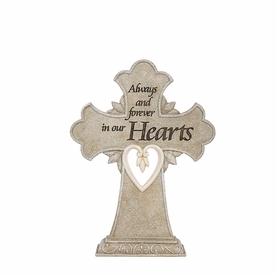 Memorial garden bench measures 29" x 12" x 15"